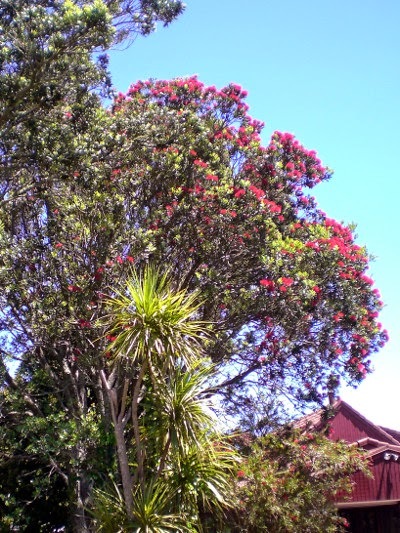 This summer the pohutukawa trees (known as the NZ Christmas tree) are especially beautiful. 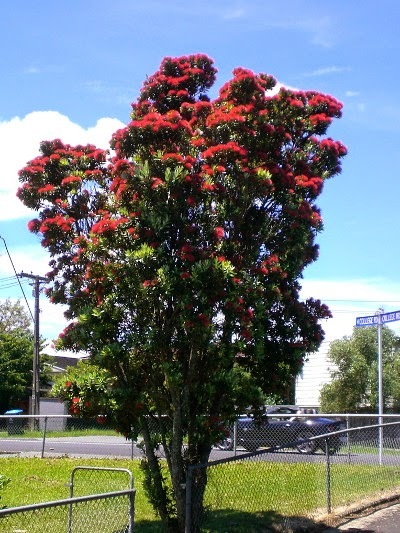 When we drive around the city, we keep spotting more and more gorgeous examples (it's almost supplanted the Cabin Pressure yellow car game*), and the footpaths and gutters have bright drifts of crimson needles. 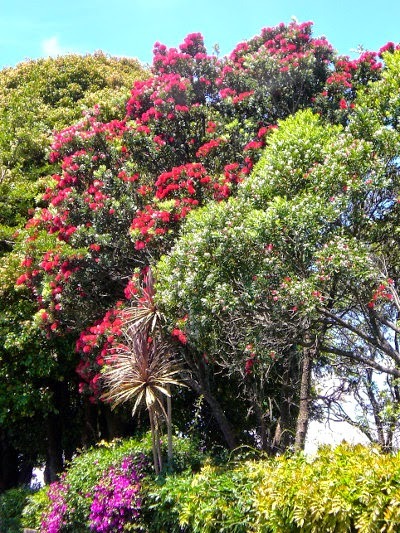 Here are trees either side of our drive. So this summer is going to be a long and very hot one according to tradition. * For those who don't now the wonderful Cabin Pressure, Yellow Car has no rules or scoring apart from noticing, well, yellow cars. We've also added the cyclist subset of MAMILs (middle-aged men in lycra) and the rarer MAFILS. I've seen two MAFILs in yellow lycra and that's worthy of scoring, so 2000 points to me. Also posted on Dreamwidth, with comments.